No, it is not possible to be bored when you are a mother of young ones. Exhausted, yes, but bored? No. Yesterday I had one of those crazy afternoons. It started out just fine, I was in the house with Sarah Joy and was just turning on some music when the Schwan’s lady came. The dog went crazy because sometimes she brings dog treats for him. I put the dog out as I greeted her and she handed me the order book. Moments later, Seth came in the house….with the dog again….we put the dog right back out and Seth announced that “Caleb is on the roof of the chicken coop and can’t get down! !” After talking to him, with Robin the Schwan’s lady looking on, I realized Caleb was stuck in the loft and would be okay for a few minutes. I sent Seth back outside and the dog pushed his way back in. Robin let him promptly out the other door. I sat down to look through the ordering book and the house phone rang. I excused myself but couldn’t find the phone, “Oh just forget it.” I sat back down. Meanwhile, Sarah was jumping on the couch and being as charming and chatty as possible for Robin. My cell phone rang. It was my husband. He was at the oral surgeon’s with Jacob and needed our insurance information. I excused myself to go find the card and read Rich the numbers. I hung up the phone and was finally able to put in an order. Robin went outside to her truck to gather my purchases. It was now pouring rain. After she came in, she was worried about Caleb and said she would go get him down. The chicken coop is beyond the garage so we went outside, *Robin promptly getting scared out of her wits over a fake snake in the grass belonging to Caleb*, just in time to see Ethan and David coming from the woods COVERED in thick black mud. One thing after another after another and I just find myself laughing! We could hear Caleb in the distance, yelling for assistance, and since Ethan had arrived, Robin left us, filled, no doubt, with enough action and stories for the day. After a struggle getting big Caleb down from the scary heights (he was petrified), Ethan and David insisted on showing me their mud hole. They had originally decided to “pan for gold” in our stream but the mosquitoes were so bad that they resorted to rolling around in the mud instead. They were already ankle deep in it, anyway. I was in wet rubber flip flops and I slipped and almost fell as I followed them, carrying Sarah Joy through the woods. Sighing, I persevered and laughed as I saw the boys’ gleeful adventures, in head to toe warm MUD. I get it, I totally get it. If I wasn’t having such a frazzled moment, I MAY HAVE EVEN JOINED THEM. It was about 45 minutes of solid activity before things settled down again. 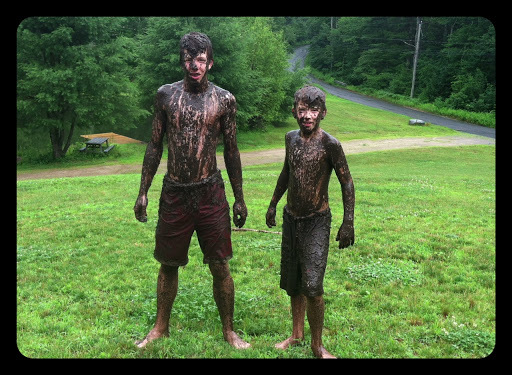 Ethan and David, besides getting muddy, made brownies yesterday. They were delicious beyond words. Ethan got the recipe off a package of Andes mint baking chips. All you have to do is bake a pan of brownies and when you pull them from the oven, you sprinkle the whole bag of chips on top. After about 10 minutes the chips are melted and you spread the chocolate around like a frosting. I ate 2 of them warm, standing in the middle of 5 dancing loud boys begging me to step away from the pan so they could get one, too. hi shanda…….LOL for sure! life is grand. Oh goodness. It's too much sometimes. At least they were old enough to clean the mud off themselves. Sounds like a perfect (ly crazy) day! Taking things in stride is one of your many talents. Great, great post, I could picture all of it!!! Cannot believe how muddy they were! Looking at your last two posts make me miss you more! I was chuckling through this Shanda. My O my, the adventures of life as a mom. Love the muddy boys, AND a pond to clean off in. LOL. The mud and the part about the exhausted frazzled mother takes me back to a childhood memory involving those same two things. Ha! 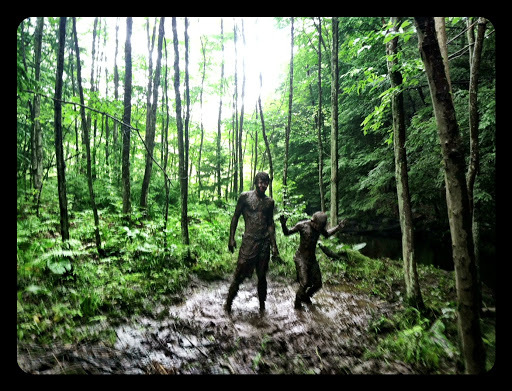 We kids had so much fun in that mud and it felt soooo good! Boys will be boys! 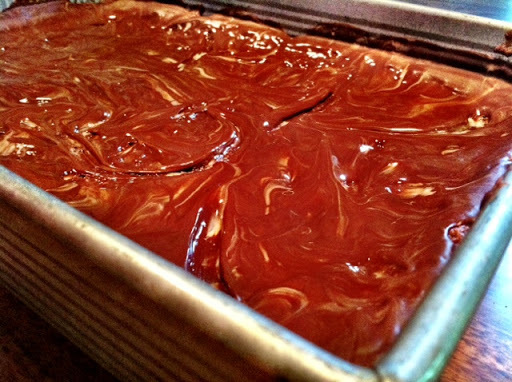 And oh my but that pan of brownies look so delicious! Loved it! I could picture it all. I had already seen Ethan's pic of the mud. Thanks for sharing the story behind it. Happy 4th of July! I think you need to frame the shot of the mud-covered boys. 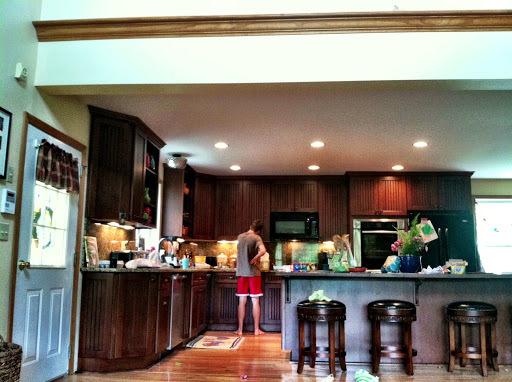 And I love the kitchen shot as well. Thanks for sharing your day. such adventures your family has. I love it. I laughed out loud. 🙂 Your life is so full. I love it, and I love your attitude in the midst of it. I love reading about your day and enjoying it vicariously.